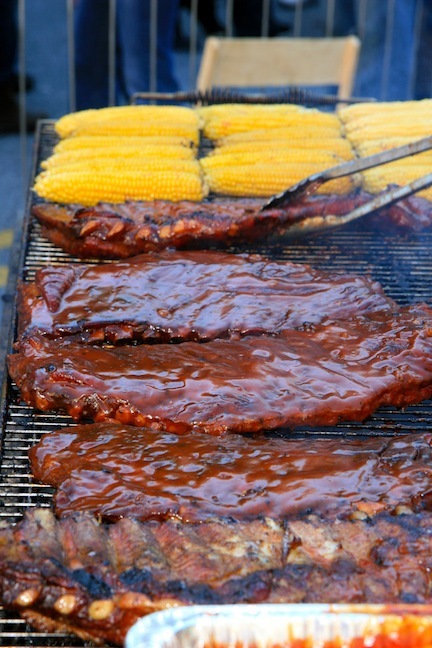 The 10th Annual Taste of Atlanta lived up to the hype of the city’s ultimate street festival. On top of having the participation of more than 80 Atlanta-area restaurants, beer, wine, cocktails and libations, and the contest for Atlanta’s Best Bartender, Taste of Atlanta had even more indulgences. There was every radio station in the city, a sanctioned food fight for the kids, chef demonstations, food trucks and much more bringing us into foodie heaven. We could write all day about the deliciousness we experienced at Taste of Atlanta, or we could let these yummy photos speak for themselves. BBQ ribs and grilled corn on the cob from Jim & Nick' Bar-B-Q</a>"
The savory smell of tangy, saucy ribs from Jim ‘N Nick’s Bar-B-Q wafted down from their giant BBQ pit. Jim ‘N Nicks is a true Southern business with locations in Alabama, Florida, Georgia, Tennessee and both the Carolinas. Their cole slaw recipe (which can be found here) was even featured in Bon Apetit magazine. Their magic ingredient is apple cider vinegar. Be on the lookout Alabama fans because Jim ‘N Nicks is opening a location in Tuscaloosa soon. Speaking of Southern grown business, check out Sweetwater Growers from Canton, Ga. 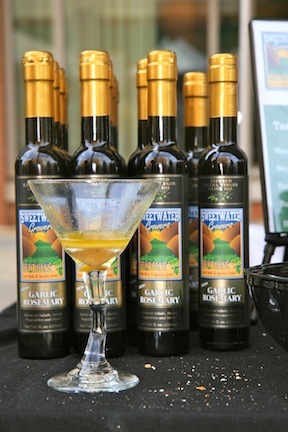 They are growing all their own herbs in North Georgia then infusing their blends into quality olive oil. Garlic, rosemary, basil, cilantro, chive, crushed red pepper and even habanero varieties of EVOO are available at your local Whole Foods. Their farm is also the vendor for fresh herbs to other grocery store chains throughout the South. We’ll be cooking up some of their recipes this fall here on Pretty Southern. For those of y’all out there looking to purchase local gifts this holiday season, Sweetwater Growers has a great selection of gift boxes. Instead of bringing a dish to share to your festive gathering, gift the host and hostess something they can use for later. That’s all we’ve got for now. 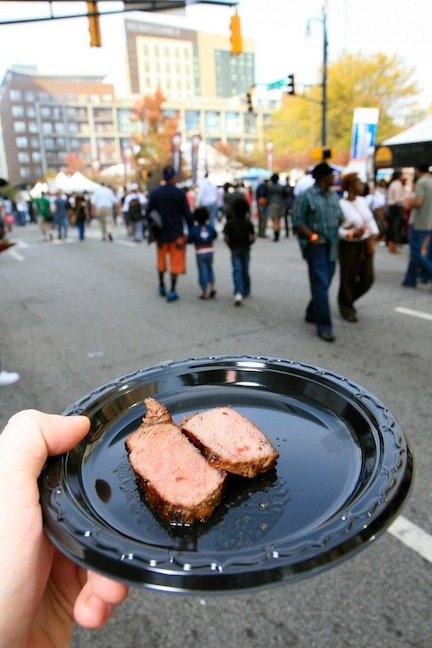 We’ll have another helping of Taste of Atlanta tomorrow.